#JobFairy. We are hiring! New faces needed! We currently have positions available for full time staff in the busy footwear and clothing sections of our Chatham Street store. We are looking for outdoor enthusiasts with retail experience to fill these positions; but sales training will also be given as well as a lot of product training. 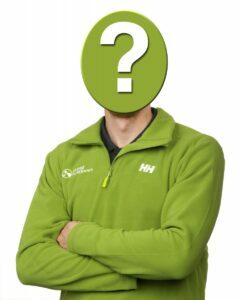 We expect all of our new faces to have an extensive knowledge of the Irish outdoors and a willingness to start immediately. We require our staff to be fun but with the ability to act maturely in their dealings with customers, many of whom have been coming to shop with us for decades. Ideally, full time staff need to be available to work a minimum of 30 hours every 7 days, during regular opening hours for our main store and to be prepared to fill in when necessary in both The North Face Store in Temple Bar and our store at Awesome Walls climbing Wall in Finglas. The successful applicants will have a good experience of outdoor adventure sports activities and/or travel, an outgoing nature, the ability to follow direction and work by themselves, excellent english and potentially, other language skills. CVs will be processed for potential interviews on a first come, first served basis. Appropriate applicant CVs that are unsuccessful in this instance, will be kept on file should future vacancies arise – unless specifically requested not to. If you are seeking a job similar to the one described above and wish to answer our #jobfairy call, drop off a CV instore or email your CV and references to the address below. We look forward to hearing your stories, assessing your skills and offering you the chance to work for the longest established outdoor store in Dublin. We really do need to see some new faces.